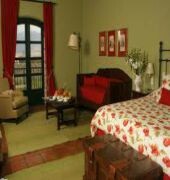 Patios de Cafayate Hotel, housed in an old colonial house offers rooms with views of the vineyards of Calchaqui valley. It has outdoor swimming pool and free Wi-Fi in public areas.The rooms are spacious with period furniture, floor tiles and handmade carpets. 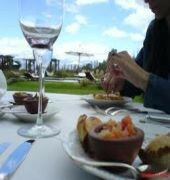 They offer views of the mountains or the landscaped gardens and are equipped with air conditioning and cable TV.The restaurant serves Patios de Cafayate quality cuisine made with fresh local ingredients.There is also an outdoor pool and a solarium. The golf courses in South America's largest is a 5 minute drive. The property features a shaded galleries and courtyard.Patios de Cafayate is 2 km from Cafayate Airport. Free parking on site.